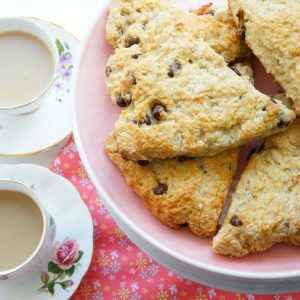 These deliscious chocolate chip banana bread scones make a delightful addition to your afternoon tea. 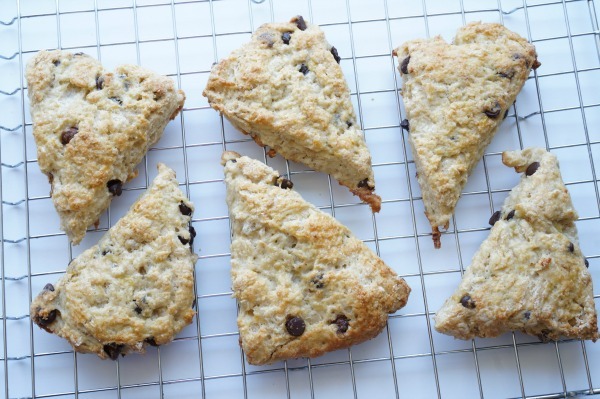 Okay, I have to clarify right out of the gate – these are not your traditional British scones. 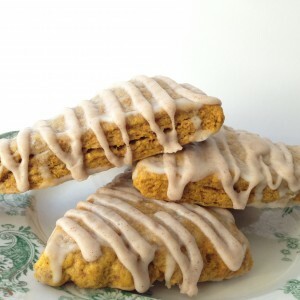 These scones were inspired by a local bakery’s banana bread scones…they are most definitely an American style scone. 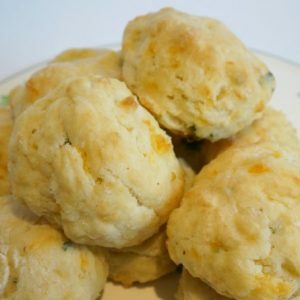 Where British scones are like a biscuit, American scones are sweeter and usually include additional ingredients mixed in. 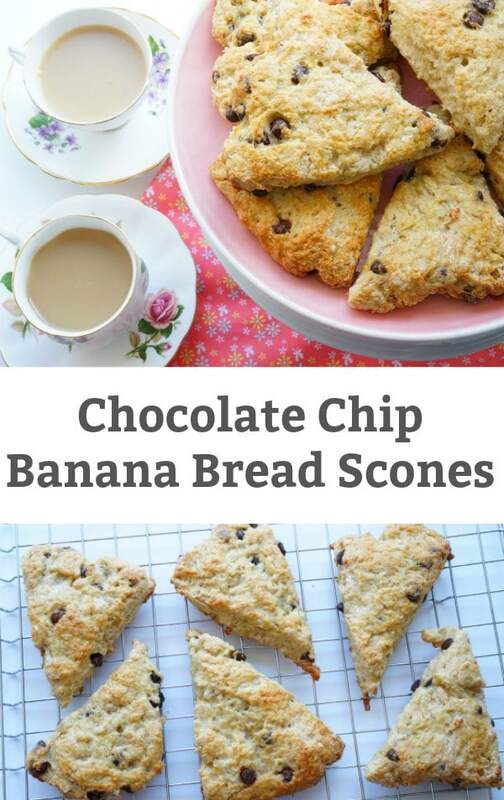 We love banana bread in our house and chocolate chip banana bread is an absolute favourite – so it made all kinds of sense to make banana bread scones…with chocolate chips. We will be enjoying our scones as we watch Meghan and Harry walk down the aisle and wed. Trust me, I need all the sweet treats I can get to keep awake at 4am on a Saturday! 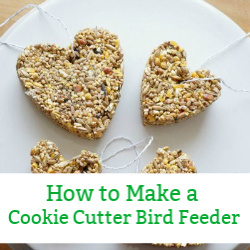 Combine the flour, sugar, baking powder, salt, cinnamon and chocolate chips in a large bowl. Whisk together so all ingredients are combined. Mash the bananas in a large measuring cup. You want the bananas to reach 1 cup. If there isn’t enough mashed banana to reach 1 cup, add one tbsp of milk at a time – until you reach 1 cup. Stir the sour cream into the mashed banana mixture. Add the banana mixture to the dry ingredients and stir to all the ingredients are incorporated. You don’t want to over stir the dough, or you will have tough scones. 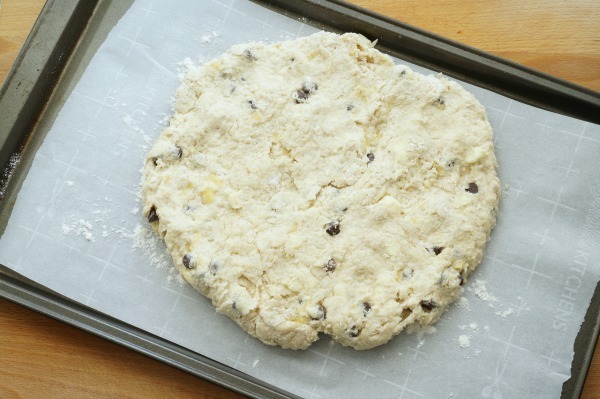 Once the dough comes together, turn the ball of dough out and onto a parchment paper lined baking sheet. Shape into a large disc, about 3/4″ thick. Pop the dough into the fridge for about 15-20 minutes to allow the dough to firm up. Remove the dough from the oven and slice into 8 wedges. Pull the wedges apart on the baking sheet. 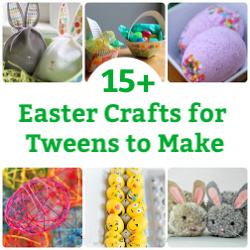 Make an egg wash, by whisking together the egg and water. Brush the egg wash over each scone and sprinkle with a little granulated sugar. 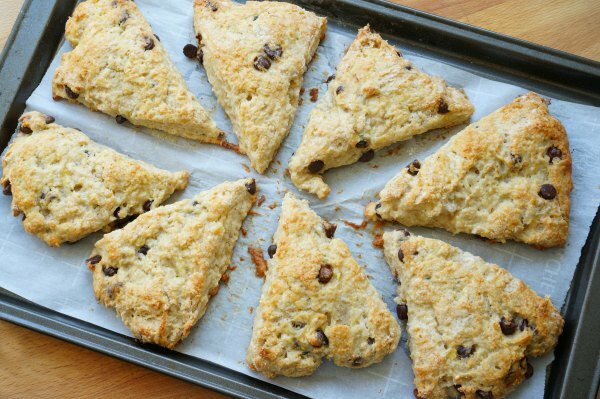 Bake the scones in the oven from 25-30 minutes, until they are golden. Set on a rack to cool. When the scones have cooled you can dust them with icing sugar – or eat them without the icing sugar. Enjoy with your afternoon tea. 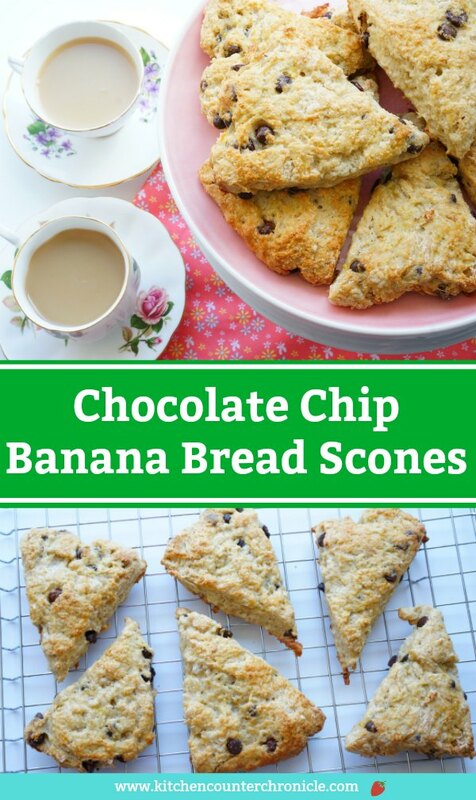 We all love banana bread - why not make banana bread scones! Simple and so, so good. Mash the bananas in a large measuring cup. You want the bananas to reach 1 cup. If there isn't enough mashed banana to reach 1 cup, add one tbsp of milk at a time - until you reach 1 cup. Add the banana mixture to the dry ingredients and stir to all the ingredients are incorporated. You don't want to over stir the dough, or you will have tough scones. Once the dough comes together, turn the ball of dough out and onto a parchment paper lined baking sheet. Shape into a large disc, about 3/4" thick. Pop the dough into the fridge for about 15-20 minutes to allow the dough to firm up. 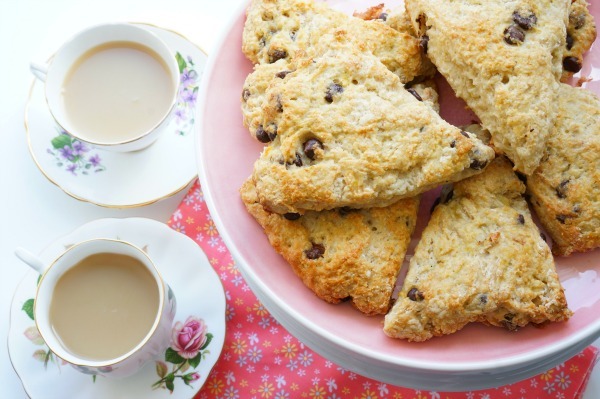 Bake the scones in the oven from 25-30 minutes, until they are golden. Set on a rack to cool. When the scones have cooled you can dust them with icing sugar - or eat them without the icing sugar. Nutrition Info is to be used as a rough guide only. Nutrition Info is based on the products I am using and you may not be using the same products/brands. Thus, the Nutrition Info info may vary. Will you be watching the royal wedding? What will you be snacking on while you watch? 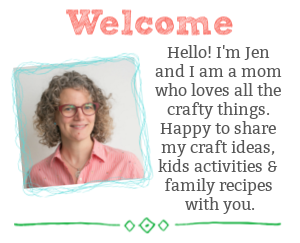 BE SURE TO SUBSCRIBE TO KITCHEN COUNTER CHRONICLE TO HAVE OUR DELICIOUS RECIPES, FUN CRAFTS & ACTIVITIES DELIVERED DIRECTLY TO YOUR INBOX.